When you’re out of your deep conditioning treatment for your hair or you need some new makeup, Massachusetts’ beauty supply stores will hook you up. 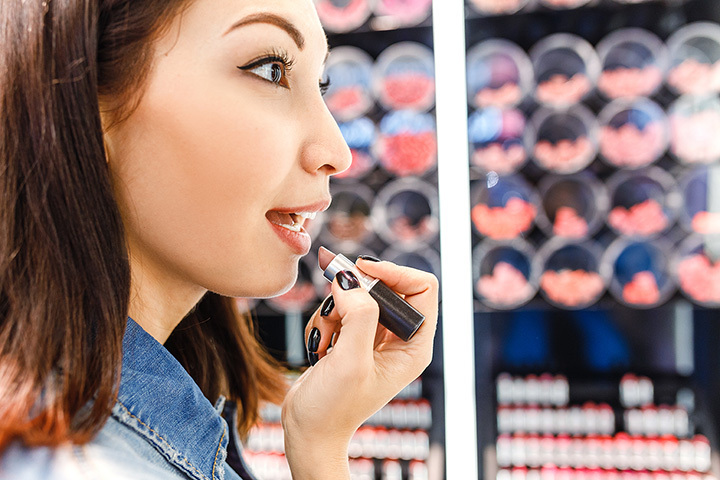 From all of the latest in big brands to cool indie brands, find it all at the 10 best beauty supply stores in the state. Open to beauty professionals only, W.S. Beauty Supply carries all the latest products including hair color, hair care, styling tools, skin care, nail supplies and more. Check out the products online and send your stylist friend in to shop for you. Ethics Beauty Supply carries hair pieces, weaves, wigs, and more for women of all ethnicities. They also feature an impressive line of skincare and makeup as well. Featuring hair products, hair pieces, weaves, and more, Beauty Supply Supermarket is geared toward people of color and their specific hair needs. They carry a nice array of skin care products, too. Pearl Beauty Supply sells wigs, hair pieces, weaves and products to maintain all the aforementioned for women and men of all ethnicities. The customer service here is said to be sublime. If they can’t find what you need, they’ll find someone who can. Aimed at professionals, Hair-Lines carries a wide array of product lines from Paul Mitchell to GK Hair and countless brands in between. They also supply stylists with products and tools for nail and skincare, as well as waxing. Serving women and men of color, Head Games Beauty Supply sells, weaves, hair pieces and a variety of products for both real and synthetic hair. They carry a wide selection of braided hair and wigs. Selling makeup, hair products and waxing products and tools, Aqua Beauty Supply is open to anyone. They even have a selection of waist trainers and girdles for those seeking a body transformation, too. Stock up on hair, nail and skin products at CosmoProf. Intended for stylists, students may shop here, too. This is the best place for top quality salon tools like flat irons, blow dryers and curling irons. Anyone can shop at Sally Beauty, and everyone loves to do just that. Choose from the latest in top quality nail colors, tools, polish remover and more. They also carry hair products from shampoo and conditioner to perm solutions and colors. If it pertains to beauty, they sell it at Sally’s. Ulta Beauty has an enormous selection of beauty supplies, including skin care, makeup, hair care, nail care, fragrances and more. Choose from high end products to more modestly priced options. There is also a wide array of hair styling tools. When they have a sale, these go fast, as do their makeup kits. Watch for fliers in your local paper. Sephora is pricier than most of the other beauty supply stores, and carries mostly makeup and skin care products. They have a decent selection of hair care products and items, as well as nail care products and nail polish. The staff at Sephora knows their stuff, so ask them any questions you may have, and trust your getting valid information.